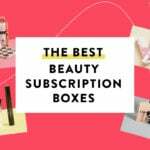 Every month, Birchbox lets subscribers pick between a curated box (all samples revealed) or a single sample choice and be surprised by the rest of the items. This review is of the curated box. DEAL: Check our Birchbox Coupon List to get the most up-to-date coupon! Check out all of my Birchbox reviews and the Beauty Subscription Box Directory! Now on to the items! I’ve been seeing this haircare brand in almost every magazine over the past month, so I was excited to try it! First, excellent sized samples! These are perfect for travel and this set lasted me for an entire week! I love the formulas. They are ingredient-conscious, the scent is fab, and I could tell that my hair was a little smoother, too. Doucce Luscious Lip Stain in Steaming Red – No Size Listed – Estimated Value $7? I’m so used to getting liquid lipsticks in subscription boxes that I didn’t realize this was a lip stain until I was putting it on my lips! Verdict: This box has a value of about $41 – I think that’s great for a $10 beauty box. In general, the curated boxes from Birchbox tend to have a great value, so if that’s important to you, I recommend picking those each month! I’m really impressed with all the sample sizes in this box – I think everything should last you a week or longer! Can you still get this box if you sign up today? Yes, this box is available for a one-time purchase! And if you subscribe to Birchbox now, your first box will be the March box. (Tip: Check the image on the sign-up page. The box design pictured is the first month you’ll receive.) You can’t pick the curated box as your first box, but you’ll be able to pick it every month moving forward. What do you think of the February Birchbox? Did you pick a curated box or a sample? It’s March 1st and I just realized I didn’t receive an email from Birchbox to choose a sample for this month. I can’t access Facebook from my phone for some reason to check their postings. Does anyone know what the curated box will have this month? I never got the email either. Just got the box today and realized it. I am on my second bottle of Sunday Riley Good Genes. It is remarkable. It has banished blackheads, whiteheads, under eye dark circles, and softened wrinkle lines. The smell does take some getting used to. I will be getting another bottle when Cult Beauty’s spring goody bag comes out next month! I like Sunday Riley good genes too! But how do you gals get passed that horrible smell that comes from that product? To me personally and I’m not trying to hate on this but it smells like a old funeral home to me. I love what it’s done for my skin but don’t know how to get past that. Any advice? Every single Sunday Riley product I’ve ever tried smells awful. I’m not sensitive with smells at all either. But I’ve niticed that if I consistently use their products I become more nose blind to them. So I guess my advice is just keep using it and eventually you will get used to it. @angie, when I first started using it, I would spray some body spray in the air to disguise the scent. I have been using it 5 nights a week for about 6 months. While I still don’t enjoy the scent, I don’t have to spray the body spray anymore! What a good idea! I thought it was just me. There are some that I really enjoy the smell and swoon, like Luna and Blue Moon, for instance. Good Genes is in a category all by itself, then come some of the others like Juno, Space Race Set etc… It’s like the elephant in the room that nobody talks about with Good Genes. Auto Correct has been giving good results to me, too. I’ve bought her entire line, I love it so much, but the smell of Good Genes…Thank you again for the tip!